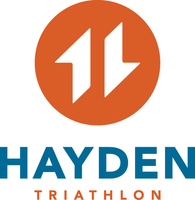 The Hayden Triathlon Community Fund is proud to host the Hayden Triathlon. 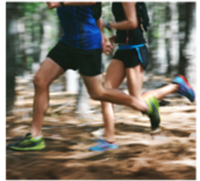 This is a SPRINT triathlon: 0.5 Mile Swim, 12 Mile Bike, 3.1 Mile Run. USAT Sanctioned. Time Chips. The race venue features breathtaking scenery, with a challenging but friendly course. We invite you to come race and unwind on the majestic Hayden Lake afterward. The Hayden Triathlon Community Fund is the managing organization. ALL PROCEEDS are donated to a wide variety of worthy community charities. We are a group of grass roots community minded people that work for free to produce a great event for our friends and neighbors. We live in a great town and at the end of it all enjoy giving the money away. DO NOT SIGN UP UNLESS YOU CAN ATTEND PACKET PICKUP JULY 11th 3:00-6:00 PM OR JULY 12th 3:00 TO 7:00 PM. POSITIVE CHECKIN REQUIRED WITH PHOTO ID FOR ALL REGISTRATIONS PER USAT RULES. NO THIRD PARTY PACKET PICKUP. NO RACE DAY PACKET PICK UP. ALL TEAM MEMBERS MUST BE PRESENT FOR POSITIVE ID AND PACKET PICKUP.